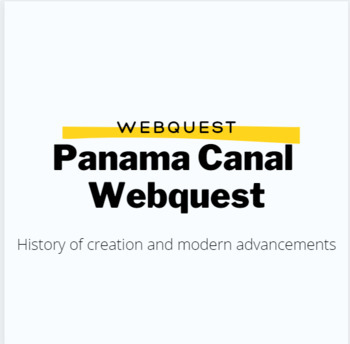 For your unit that has the Panama Canal's construction in it, the students are always curious about the history of it and why something like that matters now. 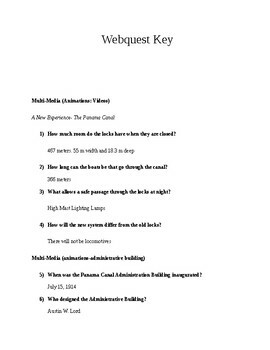 So I created a webquest that goes through the official Panama Canal website. 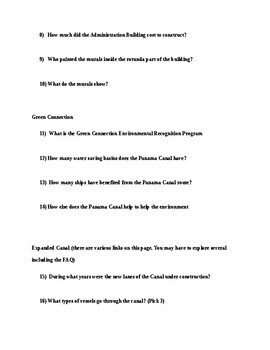 The questions will cover the history of the Canal as well as how it is used today! Videos, paragraphs, pictures, etc. are all options! 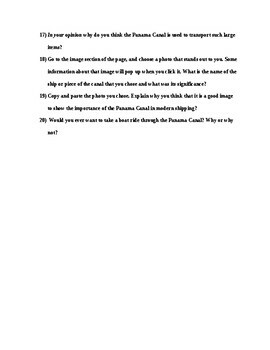 You'll get the worksheet in a form that you can edit so you can change, alter, or delete questions as you desire!